Calling all 16 -18 year old male and female footballers! 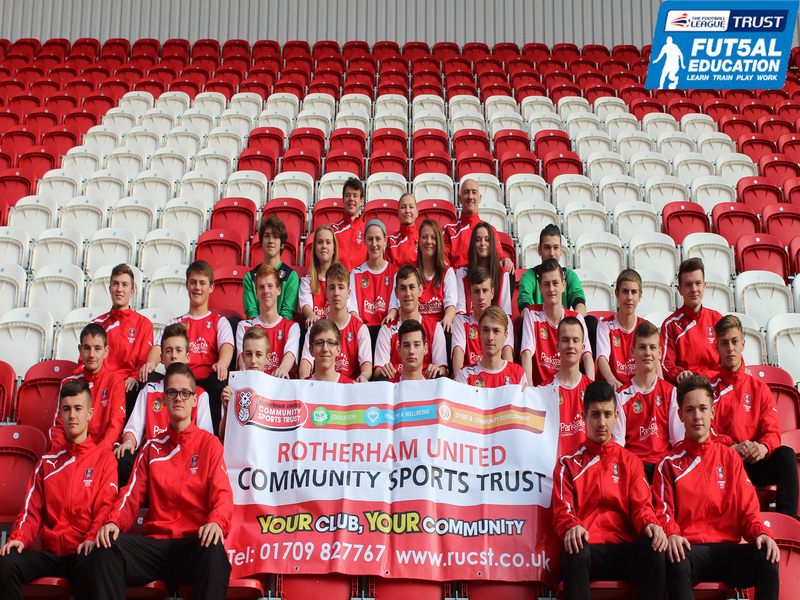 Rotherham United Community Sports Trust will be holding a Futsal training session on Thursday 16th July 5pm-6:30pm at our community training facility at School Lane, Parkgate that is off Mangham Road behind the Fitzwilliam Arms Hotel. We are currently recruiting for players/students for our hugely successful BTEC Futsal Scholarship that has been running for the last 4 years. As well as completing either a BTEC Level 2 Diploma or Level 3 Extended Diploma in Sport and students will take place in regular competitive futsal matches against fellow Football league clubs. Please note places are limited, to confirm your attendance for the session please contact Andy Warrington, Futsal Coordinator on awarrington@rotherhamunited.net or 07984600709. Please view the map below for further directions to the training facilities.